Bedroom is the most important room of any house. And therefore, you should dedicate the maximum amount of time in decorating that room. A well-decorated bedroom will provide you with maximum comfort and ensure excellent sleep.Below, you will find some of the most popular ideas for arranging the bedroom furniture. Before you even start thinking about the furniture arrangement, it is very important to get the measurements of your room and the furniture you want to use. And you should always use the furniture that is absolutely necessary in the room. While that is true for smaller bedrooms, it could be applied to larger bedrooms too. But if you have a really tiny bedroom, you should choose taller shelves and dressers. And before you go shopping for new furniture, place the available furniture first and find out if you really need additional furniture. For the bed, the most common placement is against the wall and in opposition to the main door of the room. With this treatment, the headboard automatically becomes the focal point of the room. If you don’t want to experiment with the furniture positioning, this could be an excellent choice for you too. However, if your bedroom dimension is not suitable for locating the bed in this way, you can go for other possible choices. For example, some people place their bed on the longer walls of a small bedroom. If there is only one window in the room, you shouldn’t place the bed directly under the window as it can lead to uncomfortable drafts. However, it is okay to place a bed between two or more windows. If the house or the room is air-conditioned and the window is not opened in general, you can safely place the bed under a single window too. Another common rule of thumb is you should never place the bed obstructing the door or in any other location which blocks your regular passage. Some bedrooms are provided with the inappropriately large chest of drawers. If your bedroom has these larger drawers, you can put the drawers inside the walk-in closet. Doing this will definitely free up more space in your bedroom. An excellent idea is to make rough drawings in paper before you start moving the furniture. If you have the necessary measurements ready on hand, this could save a lot of trouble for you. In paper, you can performas much experiment as you want with the available furniture. Once you have got the right setup, you can get the furniture settled within a short period of time. When arranging the furniture, you shouldn’t avoid the safety concerns at any cost. Necessary safety equipment like the smoke detector, flashlight with extra batteries should be in the bedroom. And if the bedroom is in an upper-story, you might want to include an escape ladder as well. If you are looking for new bedroom furniture, a wise idea is to choose multi-purpose pieces. Your local home depot stores will definitely have some multi-purpose furniture available. While choosing the furniture, keep your bedroom and other existing pieces in mind. 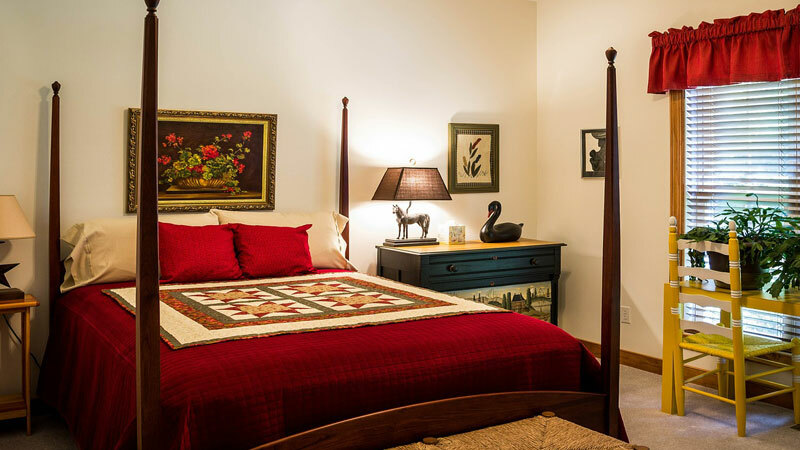 Furniture arrangement plays a big role in the functionality of your bedroom. And after reading this article, you should have some solid ideas about the best practices in this regard. Do you have any other tips to add to this list? Let me know in the comments.